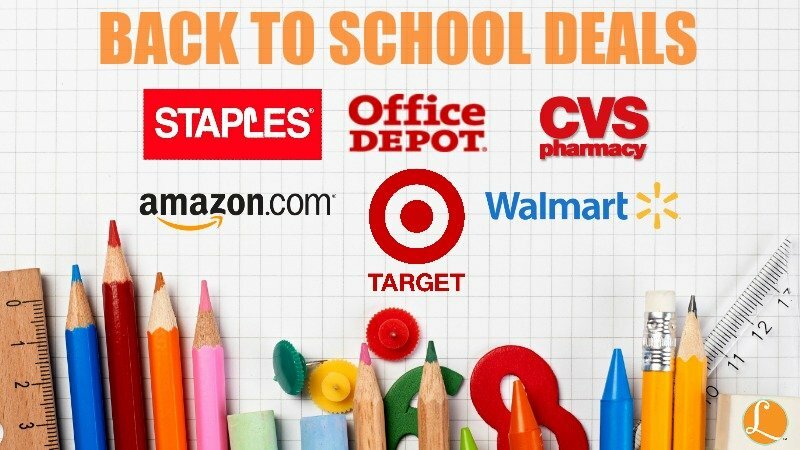 The hottest back to school deals for this week! Using a Back to School Checklist helps to save money on Back to School Supplies. 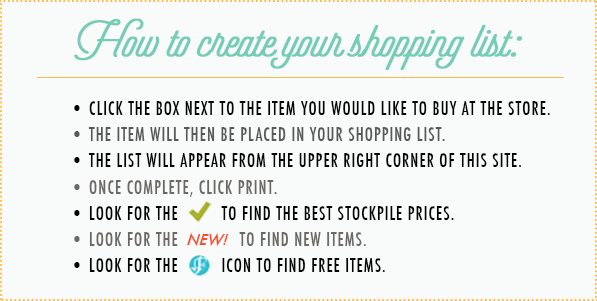 It’s a great way to prevent wasting money on overbuying. While it’s so tempting to take advantage of lots of great deals, keeping track of what you need and what you are buying is the best savings tip of all. 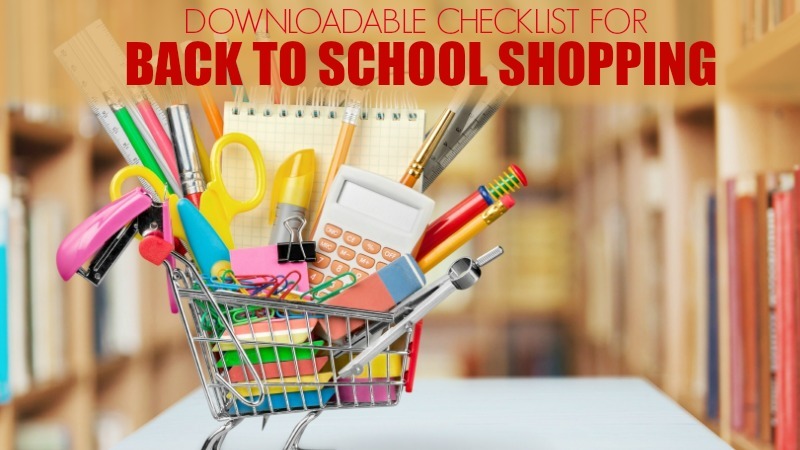 Be sure to use our Back to School Checklist to help you keep track of your purchases. We have a free printable download or you can download directly into Excel. Looking for deals on your children’s Back to School Checklist? 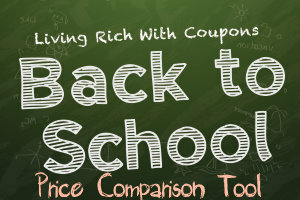 Search the Back to School Price Comparison Tool to find the best deals on Back to School Supplies. I have had many requests for a good solid checklist for sending your kids off to college. So, I turned to my daughter Nikki to make a list. And that she did. So without further ado, here is a complete dorm checklist from the eyes of a recent college graduate. Leaving for college can be a stressful yet exciting time for students as well as parents; saying good-bye to home and going off to start a new life, in a new place, with all new people. 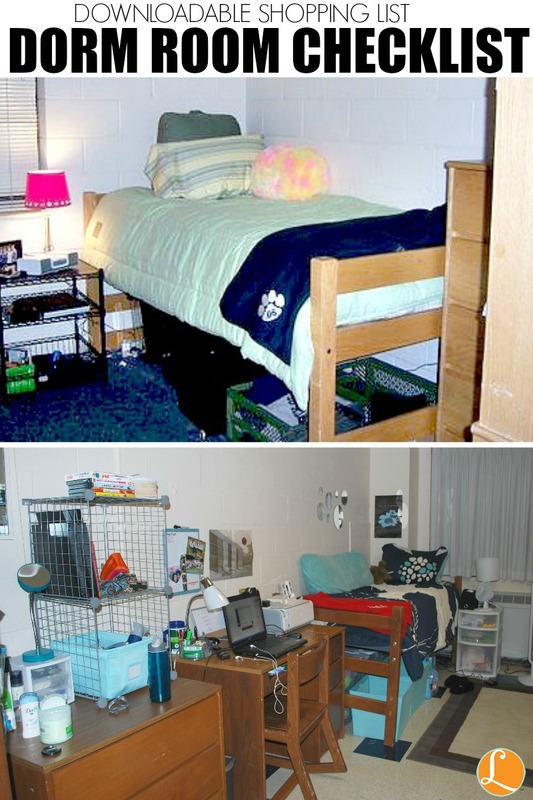 For incoming freshmen, knowing what to bring to create a comfortable living environment at school can be a whole challenge in itself. I know that every new student wonders, “How can I possibly fit ALL of my stuff in this small 12’x15’ room while sharing it with a total stranger?” Well, I am here to tell you that it’s not that difficult, and fitting all of the puzzle pieces into place is half the fun. 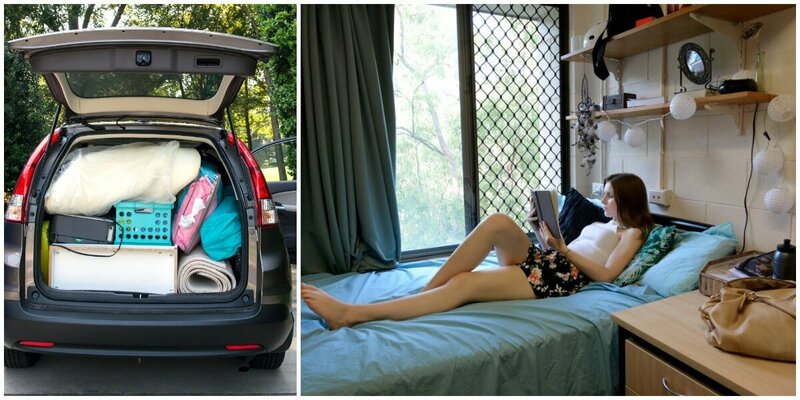 Here is a little guide to help parents as well as students know what the essentials are for a college dorm room and how to make it all fit comfortably. Comforter: A good sturdy comforter is a must. This thing will not only be used as a blanket to sleep under, but also as a couch for guests to sit on, a table cloth to eat off of, and a study spot to spread your text books over. Having a comforter that can with-stand all that college living has to offer is crucial. I would recommend staying away from white, or any other very light colors because when you spill a whole bowl of Ramen Noodles on your bed (as I have) you’ll be glad you bought the navy blue instead of ivory bedspread. Sheets & Padding: Also invest in two sets of sheets. When you do have a spill, you’ll be able to recover quickly and not have to walk all the way to the laundry room right away. You also definitely want to invest in a foam egg crate and a mattress pad. These make your bed much comfier than it is, which you will appreciate later. Also, don’t forget to buy twin XL bedding. If you get twin then it probably won’t be long enough because most college bed are oversized. Pillows: Get a comfy pillow, or even two! You’ll be glad you did when you hit the sack after writing a paper until 4 AM. Also consider getting a body pillow. They are great when you use your bed as a couch to watch TV and when you don’t want to roll over and hit your head against a cold concrete wall at night. Draw Organizer: Most dorm rooms come with a standard desk, which is great! Organizing it is another story. This is basically where all you junk will wind up. Getting a drawer organizer may help some people. School Supplies/BackPack: Back to School Deals are listed right on our site! Message Dry Erase Board: This is a fun way to remind yourself of tests or meetings and for your friends to leave you notes! LockBox: When you need to lock up your passport, insurance card or anything else of value you’ll be happy you have this! Laptop: Every college student needs a laptop. Don’t let anybody or a website tell you that you can just go to the library and use their computers and everything will be fine. This is just crazy. Yes, library computers can be very helpful if you have to do some spur of the moment research or need to print out a 25 page paper (twice), but every student needs to invest in their own personal laptop where they can save documents, write papers, do research, and even take notes during class. Printer: A printer is a personal choice. I would recommend getting your own printer/scanner, but if you think you wouldn’t mind walking to the library every time you need to print, that’s fine too. TV: A TV is also important. If you have certain television programs you have to watch then you definitely need a TV and you might want to pick up an Amazon Fire Stick or Apple TV to go with it! Netflix is an important part of your week! Music Player: Who wouldn’t want to hang out with friends and listen to music in your dorm! Power Strips: Power Strips are necessary when you have 1 outlet for yourself! You’ll be happy you have this! Lamp:You will definitely need a bedside lamp and/or a desk lamp. You most likely do not need a floor lamp. You will most likely have a ceiling light which will be more than enough to light the room. Curtains: You do not need to buy these. Most dorm rooms do not even allow you to take down the existing curtains. If you know for a fact that your school does not provide curtains then find simple ones that are cheap because they’re probably going to get pretty dirty. Storage bins: Under bed storage is key. If you’re wondering where you’re going to fit all of your stuff, this is where. There are a few routes you can take with storing things under your bed: big bins, stackable drawers. I would recommend stackable drawers. They take up the least amount of space, store things very neatly, and make it easy to access things when you need them. These also make great night stands. Also if you’re a girl, getting a small version of the stacking drawers is good for holding jewelry and make-up. Shoe Organizer: Most dorms provide you with some sort of closet or armoire which has hanging space and a few drawers. There is also most likely a small chest of drawers provided. This is more than enough room to store the average person’s clothing. If you can find a small shoe organizer either one that hangs or if you’re handy with a hammer you could always build a small two shelf shoe holder which you can stick in the bottom of your closet. Don’t forget to buy hangers to hang your clothes up. Hangers: How else will you hang clothes in your closet? YOU NEED A FAN. Whatever you do, buy a fan. It is a great investment. Everyone I have talked to says that freshman and even sophomore dorms do not have air conditioning. You will boil to death without a fan. Towels: You will need anywhere from 2 to 4 towels. It just depends how many times you reuse your towel and how often you do your laundry. I think that 3 is more than enough. I recommend getting a towel that is a bit oversized. If you have a communal bathroom and your room isn’t right across the hall then having a bit more coverage will make those long walks back after a shower all the more comfortable. Caddies: Also, you’ll need a shower caddy to hold all of your shower needs. These make it easier to carry your stuff to and from the shower. Shower shoes: Don’t forget your shower shoes, flip-flops from Old Navy work perfectly. Seating: If you plan on bunking your beds or that your room is a bit oversized, then invest in a futon. These are great for friends to sit on and watch movies and for guests to sleep on when they come to visit. If you don’t have the money, or can’t fit a futon in your room then think about getting a chair.. They are super comfy for reading and watching TV. Full Length Mirror: You don’t have this in your dorm and you are going to want it! Trash Can: Trash can’t go on the floor! Carpets: Most dorm rooms come with ugly linoleum tile floors. These get very dirty and gross throughout the year. Getting a carpet is good idea to keep your feet warm in the winter and to vacuum and keep clean. Find a carpet that fits the size of your room so it covers most of your floor. If you don’t want to spend as much money then buy a few small sized carpets and push them together. Don’t get white because as I’ve said before, they can get pretty gross. Refrigerator: If your school doesn’t automatically supply you with a refrigerator/freezer then you definitely need to buy one. If you think you’ll need to be storing some frozen pizzas or hot pockets for late night snacks, then here is the style of one with a freezer. If you’re buying a fridge then you most likely will be eating food. If you want to be civil then think about buying a small set of plates, bowls, cups, and utensils so that you won’t be eating out of a can all the time. Microwave: Some schools supply a micro-fridge, which is a microwave and fridge put together. These are awesome. If your school does not give you a microwave you will definitely need to buy one. How will you pop popcorn and heat up your Ramen Noodles without a microwave? Clothing Care: Also look into a ironing board and iron. You can even find mini ones that fit in your room perfectly. Laundry Basket: A hamper (I recommend the pop up type), that you can just carry to the laundry room is best. You will also need to buy some windex or other cleaning supplies, air freshener, extension cords, a surge protector, a waste basket, small over the door hooks or removable sticky hooks to hang your towel up or anything else really, a white board to keep your To-Dos organized or to hang on your door for friends to leave messages, an over the door long mirror if your school doesn’t have one already, and of course any posters, or other wall decorations that make you feel like you’re at home. So, as you’re getting ready to head out for school and you’re wondering if you have everything you need, just remember that even if you forget something the bookstore will have stuff for you to buy throughout the year, or mom will send you packages with socks that you left at home. Don’t forget to bring your favorite stuffed animal, the blankie you’ve had since you were born, and all of your favorite snacks which you should store under your bed where your roommate can’t find them! Have a great time moving in and don’t forget college is the most fun time of your life. ENJOY IT!